From Wikipedia, the free encyclopedia Hugh Milburn Stone (July 5, 1904 – June 12, 1980) was an American actor, best known for his role as "Doc" (Dr. Galen Adams) on the CBS Western series Gunsmoke. Stone was born in Burrton, Kansas, to Herbert Stone and the former Laura Belfield. There, he graduated from Burrton High School, where he was active in the drama club, played basketball, and sang in a barbershop quartet. His brother, Joe, was a writer who was the author of scripts for three episodes of Gunsmoke. In 1919, Stone debuted on stage in a Kansas tent show. He ventured into vaudeville in the late 1920s, and in 1930, he was half of the Stone and Strain song-and-dance act. His Broadway credits include Around the Corner (1936) and Jayhawker (1934). In the 1930s, Stone came to Los Angeles, California, to launch his own screen career. He was featured in the "Tailspin Tommy" adventure serial for Monogram Pictures. In 1940, he appeared with Marjorie Reynolds, Tristram Coffin, and I. Stanford Jolley in the comedy espionage film Chasing Trouble. 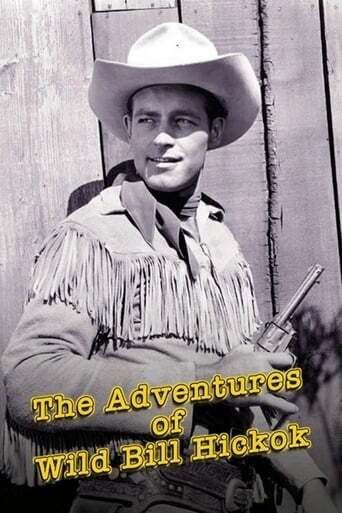 That same year, he co-starred with Roy Rogers in the film Colorado in the role of Rogers' brother-gone-wrong. Stone appeared uncredited in the 1939 film Blackwell's Island. Stone played Dr. Blake in the 1943 film Gung Ho! and a liberal-minded warden in Monogram Pictures' Prison Mutiny in 1943. Signed by Universal Pictures in 1943, in the film Captive Wild Woman (1943), Jungle Woman (1943), Sherlock Holmes Faces Death [Captain Pat Vickery], (1944), he became a familiar face in its features and serials. In 1955, one of CBS Radio's hit series, the Western Gunsmoke, was adapted for television and recast with experienced screen actors. Howard McNear, the radio Doc Adams, was replaced by Stone, who gave the role a harder edge consistent with his screen portrayals. He stayed with Gunsmoke through its entire television run, with the exception of 7 episodes in 1971, when Stone required heart surgery and Pat Hingle replaced him as Dr. Chapman. Stone appeared in 604 episodes through 1975, often shown sparring in a friendly manner with co-stars Dennis Weaver and Ken Curtis, who played, respectively, Chester Goode and Festus Haggen. In June 1980, Stone died of a heart attack in La Jolla. He was survived by his second wife, the former Jane Garrison, a native of Hutchinson, Kansas, who died in 2002. Stone had a surviving daughter, Shirley Stone Gleason (born circa 1926) of Costa Mesa, California, from his first marriage of 12 years to Ellen Morrison, formerly of Delphos, Kansas, who died in 1937. He was buried at the El Camino Memorial Park in Sorrento Valley, San Diego. In 1968, Stone received an Emmy Award for Outstanding Performance by an Actor in a Supporting Role in a Drama for his work on Gunsmoke. For his contribution to the television industry, Milburn Stone has a star on the Hollywood Walk of Fame at 6801 Hollywood Boulevard. In 1981, Stone was inducted posthumously into the Western Performers Hall of Fame at the National Cowboy & Western Heritage Museum in Oklahoma City. After his death, he left a legacy for the performing arts in Cecil County in northeastern Maryland, by way of the Milburn Stone Theatre in North East, Maryland.